From bright sunny beaches to breathtaking mountains, New Zealand has it all. Such accessible beauty combined with a temperate climate make the Land of the Long White Cloud the perfect holiday destination all year round. Whether it’s a ski trip in Winter, Summer days at the beach, a wine-lover’s adventure in Autumn or enjoying the Spring blossoms, magic awaits you! 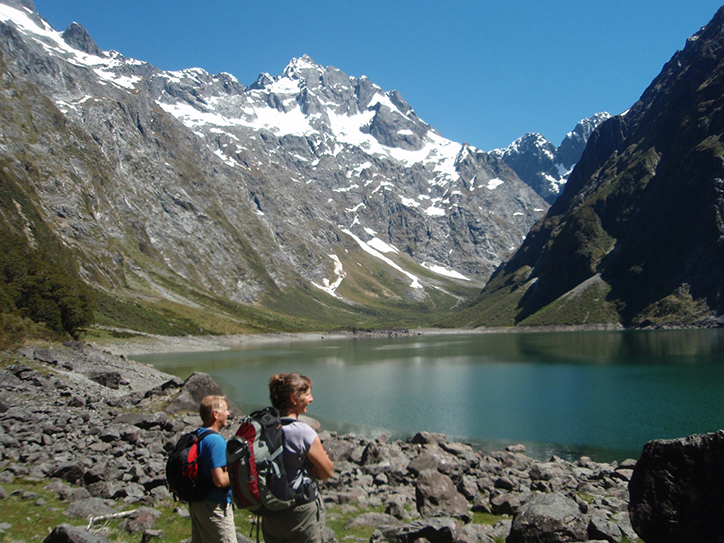 Our season by season breakdown is here to make planning your New Zealand holiday a breeze. Pro tip: looking for the best value? Consider a holiday in New Zealand’s low season between May and September… ask us about our Winter specials! 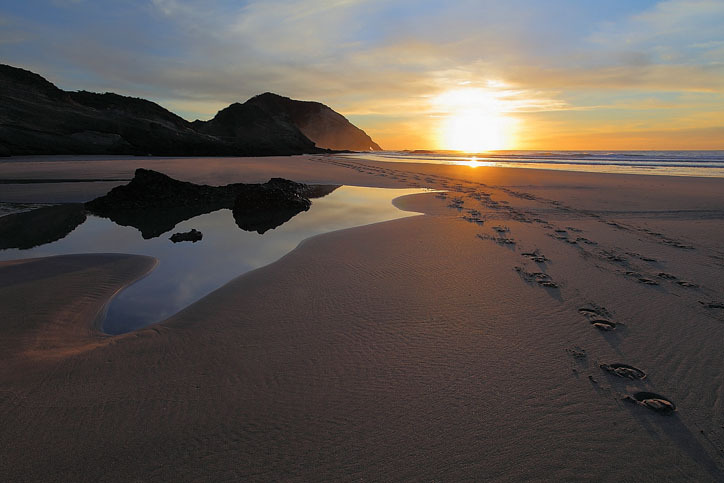 Stunning Beaches are found up and down the coastline of New Zealand; in the North Island surfers flock to Raglan and Mount Maunganui, while the Coromandel is best for sea kayaking and nature walks. You might find yourself playing a game of beach cricket with locals, a favourite summer pastime. A Helicopter Tour of Franz Josef Glacier. Clear summer skies allow for perfect views of these spectacular ice formations set above natural rainforests. Bush Walks are the perfect way to get in touch with nature, see the native flora and fauna up close, and explore to your heart’s content. Swim with Dolphins in the uniquely French settlement of Akaroa; get up close with Hector’s Dolphins, the world’s smallest – found only in New Zealand! 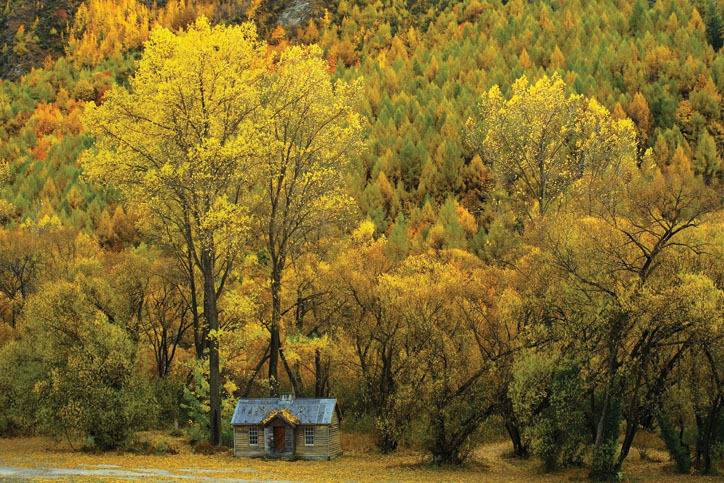 Visit the historic gold mining town of Arrowtown. The mottled colours of Autumn are when it’s at its most beautiful. A walk on one of the many tracks will let you see the rivers where gold used to be panned – you can even try your luck yourself. Arrowtown also is the gateway to the Gibbston Valley – home to dozens of beautiful wineries specialising in the famous Pinot Noir variety… a signature of Central Otago. A Scenic tour on the Bay of Islands where you can cruise through the crystal-clear waters, past hidden islands on your way to picturesque Cape Brett. Keep an eye out for dolphins! 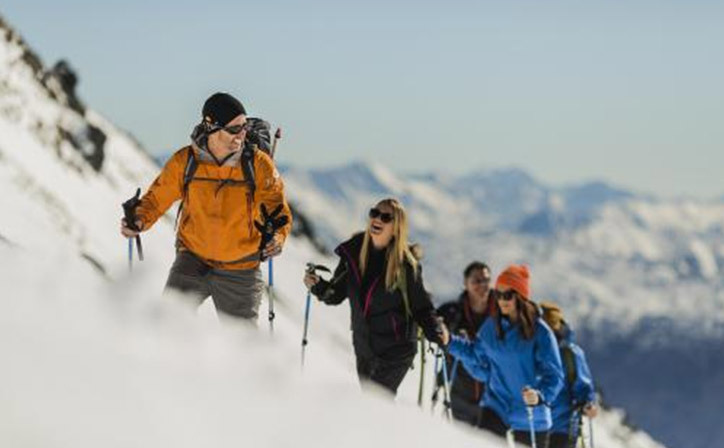 Helicopter Snowshoeing tours on top of majestic mountains close to adventure capital Queenstown in the South Island. The snow-capped view of the Remarkables range above Lake Wakatipu must be seen to be believed! Natural Hot Pools are abundant, with options to choose from in both islands, you’re never far from somewhere to forget about even the deepest winter chill. Animal lovers will enjoy Rainbow Springs Nature Park at Rotorua for live Tuatara, Rainbow Trout and the famous Kiwi. The Agrodome Sheep Show performs live sheep shearing and sheepdog demonstrations in true Kiwi fashion. 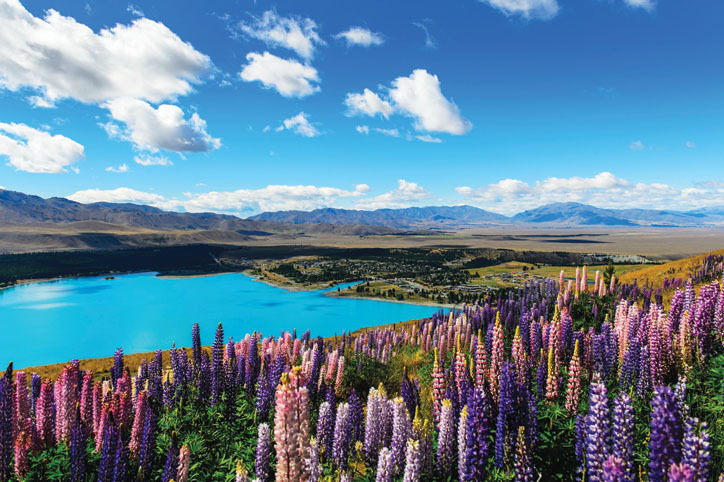 Lake Tekapo and the surrounding countryside are a haven for Lupins and other blossoming flowers. The perfectly clear skies make Tekapo one of the best places in New Zealand to catch a glimpse of the Southern Lights in the cooler months. Whale Watching is available all year round from the coastal town of Kaikoura. See Sperm Whales, Humpbacks, dolphins and seals up close and personal… and if you are lucky a pod of Orcas! New Zealand is open 365 days a year, let us help you get there for your next holiday!